A press event at Great Plains’ UK headquarters included news of totally new products, updated ranges and a redesigned cultivator, recently presented to the UK dealer network and ahead of their Agritechnica debuts. David Williams was there. At its Kansas manufacturing facilities, Great Plains produces drills from 1.4-15.0m working width for supply to 60 different countries, and offers the world’s largest range of drills from one manufacturer. The Saxon was launched at this year’s Cereals event and is available in 3 and 4m working widths, in grain-only configuration although a 6m version will be available in 2016. Capable of handling grain and fertiliser, the combined hopper becomes an option on all models. The Saxon shares its chassis and hopper with the Centurion, but has different working elements which include 430mm Turbo-Coulter blades with a fluted profile and which run straight in line with the direction of travel creating a 30-50mm zonal seeding strip. These are capable of cutting through large amounts of trash with minimal disturbance, including growing cover crops and are ideal for establishing crops in a friable surface. The Centurion, by contrast, uses 500mm cultivation discs enabling more traditional seedbed cultivation prior to the leveling board, consolidation tyres and rear double disc openers with all cultivation elements individually adjustable by hydraulic control. The latest Spartan is available in 6 and 9m working widths and folds to 3m for transport. It is equipped for grain and fertiliser use, with a total hopper capacity of 5,780 litres. With a 3m transport width it has been designed for European use. The Spartan offers a no-frills specification but is available with new advanced options including a hydraulic-driven metering system offering variable rate drilling. Previously only a mechanical metering system was available. The metering system uses cassettes, each capable of handling a range of seed sizes and making it easy to change between crops. Although the Spartan has been available for a number of years, its new specification options, ease of use and ability to drill effectively into hard stubbles makes it an attractive choice for those looking for low cost establishment. Wider models are under development and David said there is huge potential for the drill to become more widely used with increased interest in controlled traffic farming. Recent developments include rear wheels which run in line with the main front wheels – previously the rear castor wheels ran on a separate track within the drilling width. The X-Press short disc harrow has been a very successful tool for farmers across Europe since its production started in the UK more than 10 years ago, when it was launched as a trailed model. It was the first short disc cultivator with easily adjusted disc angle, allowing it to be altered during the season for working different soil types and to suit varying conditions. In recent years, with Great Plains’ influence, the X-Press has been gaining popularity in the USA, as demand has increased for a compact disc harrow with rear roller consolidation, and the medium-sized 5.5-6.6m models have been a popular choice to meet this requirement. Discs are mounted in pairs and the working angle can be adjusted manually to three fixed settings between 0-25 degrees or infinitely using new hydraulic adjustment, making it easy for the operator to optimise performance from the tractor cab. Announced for 2016 are new mounted and trailed models, with an all new frame but retaining the main principles which have made it such a success including two rows of discs and a rear consolidation roller, capable of high-speed stubble cultivations. 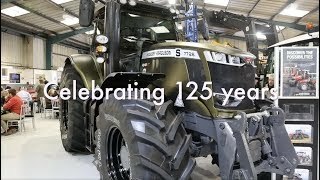 More than 1,500 of the previous mounted model were sold in the UK, with demand including mixed and primarily livestock farms as the tractor size requirement is from just 100hp. The new mounted range includes models of 3.0, 3.5 and 4.0m working width, with a power requirement of 70-180hp. The all-new main frame is tubular, for added strength, and it has been designed to provide space around the working elements to cope with large quantities of trash while also accommodating additional tool options, including a leveling board for secondary cultivations – previously only available on larger 8-10m trailed models. The hitch geometry has been altered to ensure optimal performance behind modern higher-horsepower tractors and the front hitch points have been shortened, resulting in a more compact machine than the current version. The new X-Press is equipped with side deflectors as an option to ensure a level finish between bouts. Depth control has been brought in to line with other Great Plains products, and uses coloured shims of different thicknesses to restrict rear packer travel. The ability to match the X-Press to a wide range of soils is ensured with a choice of six rear packers’ – Maxilift, Heavy Duty, Open bar, Aqueel, V-Roller and DDL550, with further options due to become available late in 2016. Most mounted X-Press cultivators are used behind an ST Bar, for soil loosening by tines ahead of the discs. The ST Bar is capable of working down to 250mm and can be fitted with low-disturbance or ST tines. The new headstock design, like that of the X-Press, has been modified to suit modern tractor linkage dimensions. The larger trailed X-Press cultivators have been improved and upgraded too, and the range now includes 5.0, 6.0 and 7.0m working widths, alongside current 4.5, 5.5 and 6.6m widths. Like the new mounted versions, the trailed X-press has an all-new main frame and chassis, and the disc layout has been modified from the previous X-shape to an offset configuration for optimal leveling, with the two rows of discs at opposing working angles. A new patented intermeshing leveling board option is available, the leveling tines running in line with the gaps between the rear roller DD rings, for example, to improve leveling and seedbed finish. The leveling board is manually adjusted, or there is hydraulic adjustment available, allowing its action to be matched to the working conditions. Side deflectors can be fitted, which offer a particular benefit for high speed operation on lighter land. Hydraulic depth control is an option, with the coloured spacers limiting working depth as on mounted models. Added convenience is provided by hydraulic transport locks, allowing the implement to be folded and unfolded without the operator leaving the cab. On both trailed and mounted models, disc choices include different sizes and profiles for the front and rear rows for progressive operation. Notched cultivation discs or SoilRazor discs, both available in 508 or 560mm diameter can be fitted and for mounted models only, Turbo Coulter blades are available. The SoilRazors are ideal for chopping tough residues such as maize, while the 515mm Turbo Coulter blades, available only for use on models with limited disc angling, are designed for minimal disturbance. 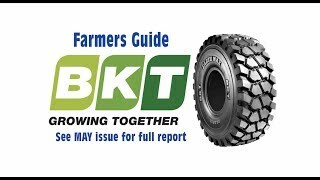 David said that the ability to fit larger diameter rear discs will be popular, as it provides progressive cultivation through the soil depth as well as optimal stability. The two rows of discs are individually mounted and have leaf-spring protection against stone damage with a trip height of 120mm. Discs spacing is 250mm across each row providing an average spacing across the machine of 125mm. Drawbar coupling is through the lower-link arms, which provides an articulated hitch advantage for tight headland turns. All new X-Press models include the ability to adjust the disc angle, with limited disc angling via three fixed settings of 13, 17 or 21 degrees, or full disc angle adjustment across the range of 0-25 degrees. Discs are mounted in pairs for stability. Either manual or hydraulic adjustment of the full disc angling is available on both trailed and mounted models. Deliveries of the new X-Press are due to commence early in 2016 and prices will be announced at Agritechnica. At the top of the X-Press range, the current 8-10m models are retained and production will continue, but updates will include additional disc options, as introduced on the smaller models. An innovative fertiliser placement system was presented at the press day, which will allow farmers to maximize yields while reducing liquid fertiliser use. AccuShot will soon be available as an option on Great Plains’ Yield-Pro maize planters and consists of an application nozzle linked to a sensor which applies a specific quantity of liquid fertiliser exactly where needed each time a seed travels down the seed chute. Rather than dribbling a continuous line of fertiliser, AccuShot applies a predefined dose of nutrients and the applicator can be adjusted to place the fertiliser exactly where needed either close to, or adjacent to, the seed. Having entered the desired application rate and input-to-seed proximity in the control screen, the application begins as the seed passes the seed tube sensor, triggering a time delay, equal to the amount of time needed for the seed to travel to the ground. A second delay is then started to offset the beginning of the liquid application from the seed location and the valve is opened from a pressurised manifold. A metered amount of fertiliser is then released into the pre-charged metering tube forcing a check-valve to open at the seed trench, where the fertiliser is delivered. AccuShot has been tested successfully during maize planting for the past four seasons, and the applicators are expected to be available in limited numbers from 2016. Great Plains believes the technology offers further opportunities for use applying growth regulators, insecticides and seed treatments and will be engaging in further trials of the system during future seasons.